Bell-like, jangly, smooth, and bluesy – ask any seasoned Strat player at Sweetwater, and you’ll get slightly different descriptions as to what this iconic guitar is supposed to sound like. 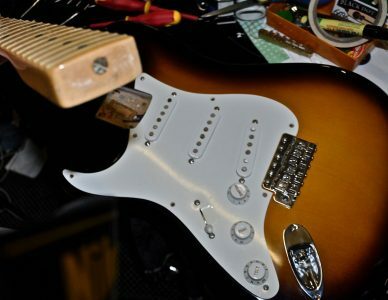 Words alone can’t capture the sound, but the ’55 single-coil Stratocaster pickups that Fender designed for this solidbody electric guitar certainly can. In fact, the only place the Fender Custom Shop went off-book with this 1955 Limited Edition Relic Stratocaster was the 5-way blade pickup selector they installed to give you access to those in-between tones early Strat players discovered by accident. 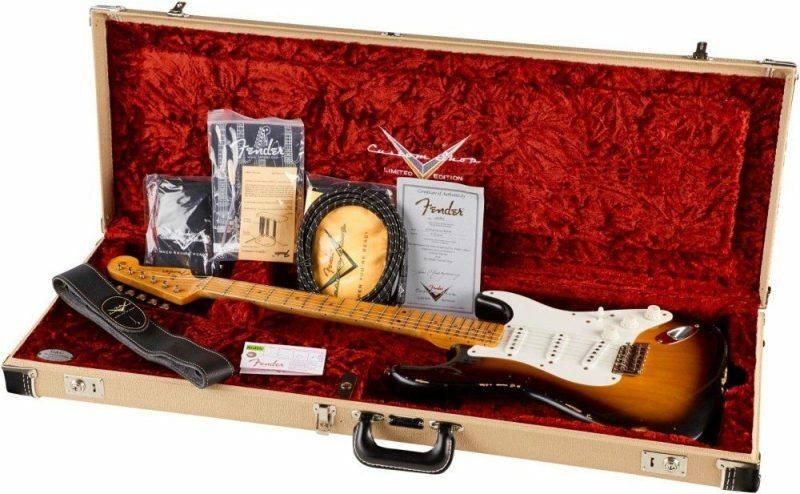 The neck is one of the most important aspects of any instrument, which is why this Fender Custom Shop 1955 Limited Edition Relic Stratocaster solidbody electric guitar features a quartersawn maple neck. Besides looking good, the straight grain of quartersawn necks is about 50% more stable than plain-sawn necks, and less likely to warp, twist or shrink. 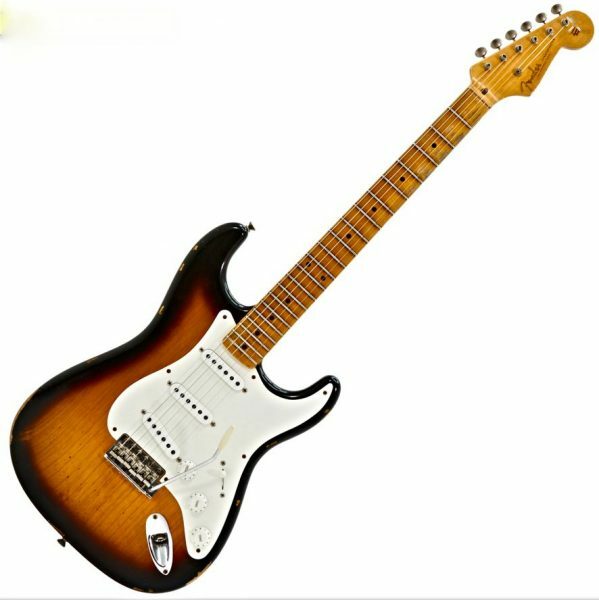 You’ll also love the playability and feel of this 1955 Limited Edition Relic Stratocaster’s contoured heel when you’re playing higher up the fretboard. Down low, your fretting hand will appreciate the 9.5″ radius that keeps things nice and comfortable for natural, relaxed arpeggio work. As you can imagine, a true 1955 Strat would show signs of wear and tear, and this Fender Custom Shop 1955 Limited Edition Relic Stratocaster solidbody electric guitar is finished to represent those years of playing. 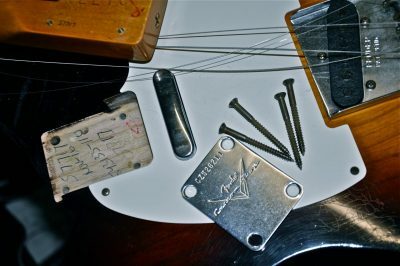 The worn finish on the body and neck, and the aged and slightly rusty hardware will make you wonder if it really isn’t a true vintage guitar. This 1955 Limited Edition Relic Stratocaster is sure to please even the pickiest of guitar lovers. This Fender Custom Shop 1955 Limited Edition Relic Stratocaster is the real deal for vintage Strat fans!